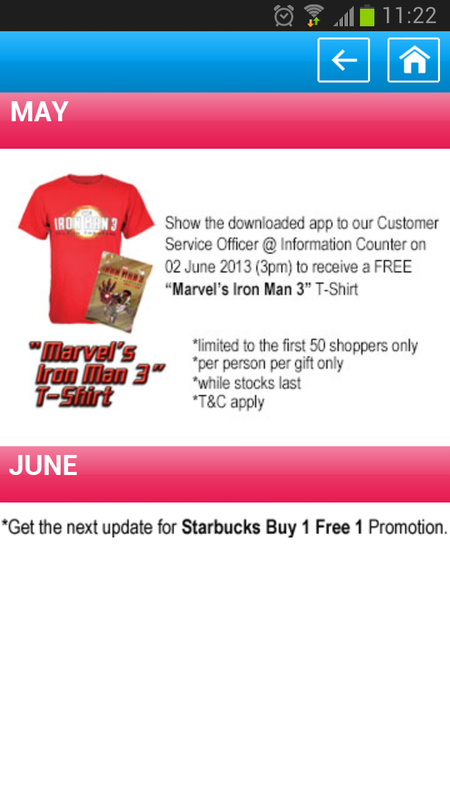 1st Avenue Penang Mobile App Launched with Iron Man 3 T-Shirt Giveway!!! 3rd of June was a happy day for 50 Iron Man fans. 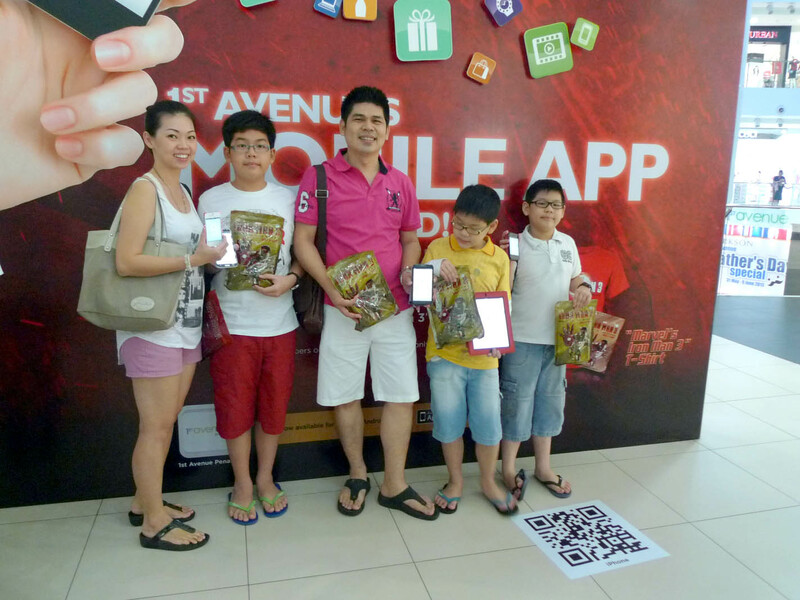 1st Avenue Penang launched their mobile app in Play Store and AppStore with their exclusive giveaway which is Iron Man 3 T-Shirt. I am so sad that I can’t go and get the T-shirt because I need to prepare for my USM Final Examinations. 🙁 Anyhow, I have my blogger friends who went there to cover the event for me. Here you go. 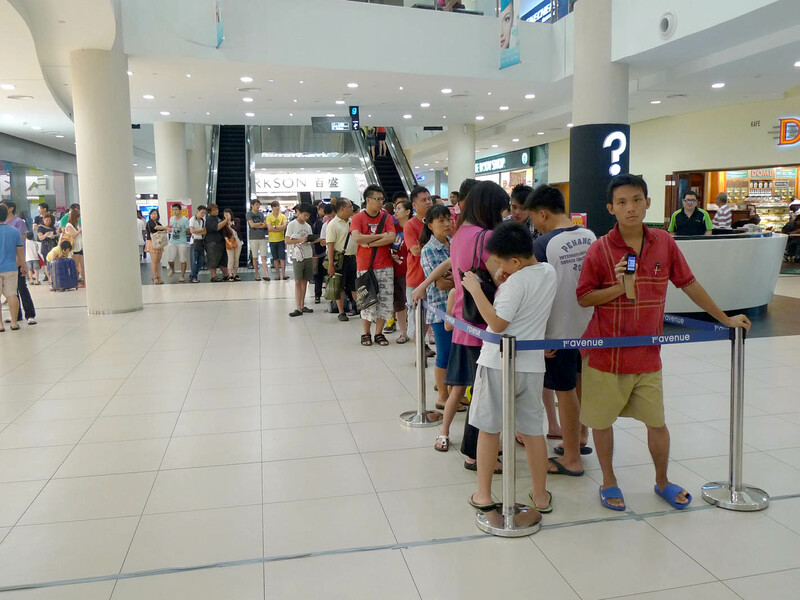 The queue started very early. And as you can predict, mostly are youngsters. My famous blogger friend, Chloe and her boyfriend. Happy with the new Iron Man 3 T-shirts. A happy Iron Man 3 family. Smiling with their new T-shirts. See the number of touchscreen devices they have. Our famous food blogger, Steven Goh. Other bloggers who also covered the event that day. Thanks for all the efforts. 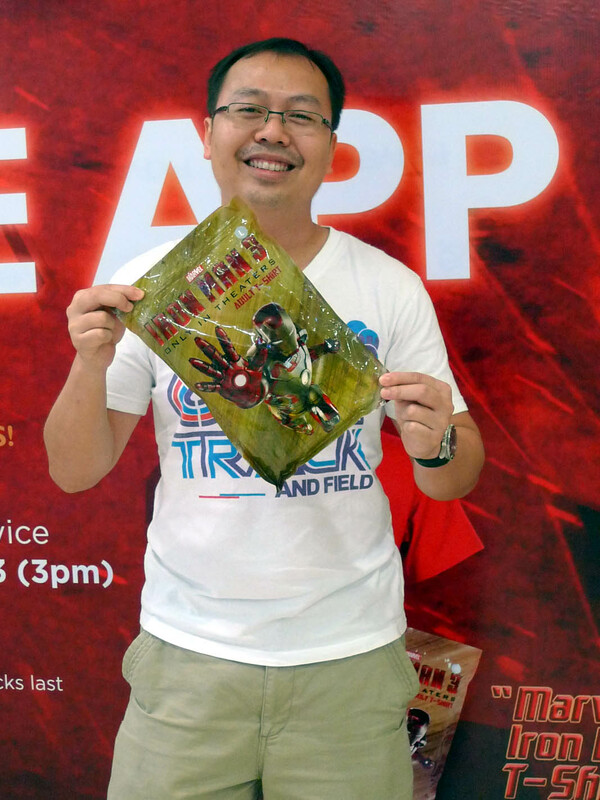 If you missed your chance like me, don’t be sad as there is another giveaway on this coming 16th June 2013, 3pm sharp at the Information Counter. 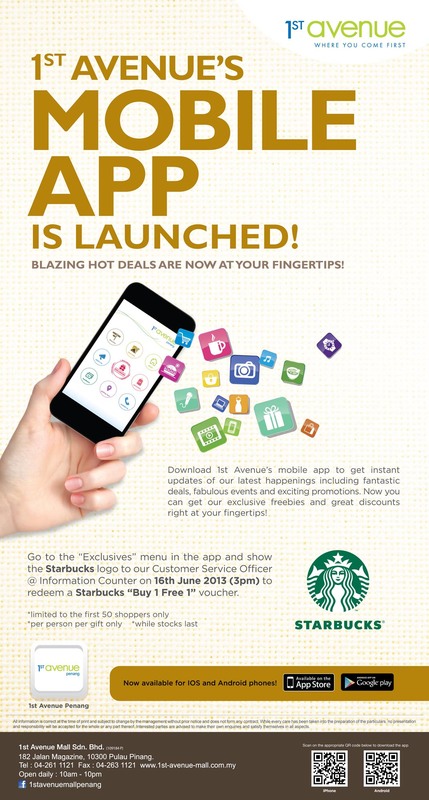 The next giveaway is Starbucks Buy 1 Free 1 voucher. Starbucks and coffee lovers, get ready. And if you want to make sure you get their next giveaway, be there early. And remember to update your app. I have updated mine. And click on the Exclusives and show them the Starbucks logo. Only first 50 shoppers ya. 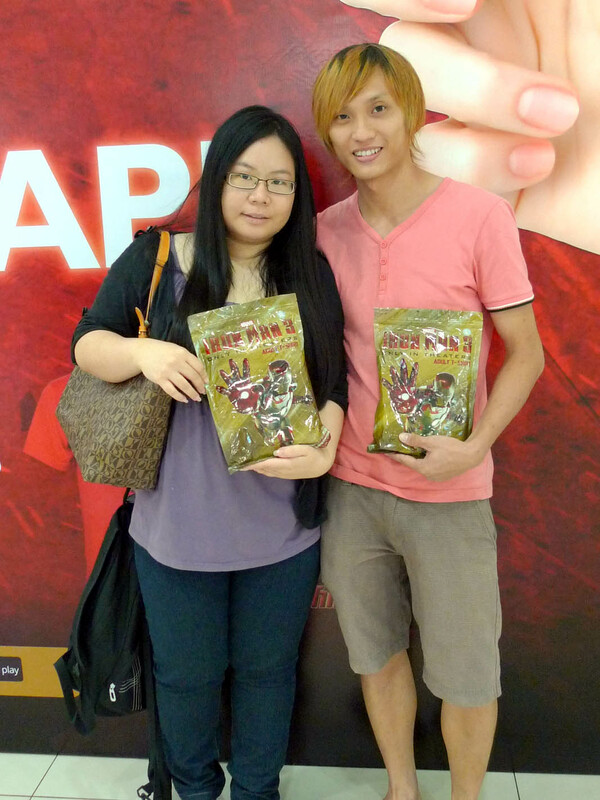 Milo McFlurry is here & Tesco Penang Mc Donald’s Makeover! Next story [RUMOR] Samsung Galaxy Note III Prototype Revealed!!! 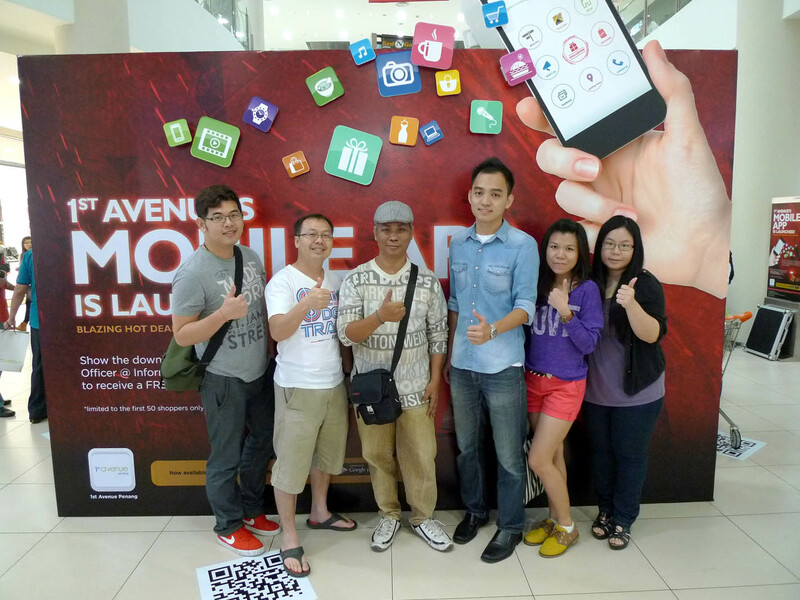 Previous story 1st Avenue Penang Launched Its Mobile App With AWESOME PROMOTIONS!! !